Once request and information is received for home support, I will provide at least one teaching strategy that I believe would help the student be more successful based on the information received, research, and my experience. I cannot, however, guarantee a particular outcome. If the strategies I have suggested have proven to be ineffective, another request may be submitted. All personal information will be kept confidential; however, the general learning challenge and suggested strategies and interventions may be used to aid others and published on Dear Homeschooler and all its social media pages. 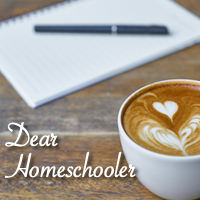 You give your permission for information and all media submitted in this form to be published on Dear Homeschooler.com and all its social media pages.